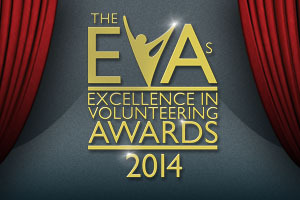 Not to be confused with the ETAs, the EVAs (Excellence Volunteering Awards) are an annual event to celebrate the amazing achievements of all the different volunteering that happens within the Union. There are seven categories that students nominate fellow students from including commitment, leadership, innovation, collaboration and impact. Both individuals and groups have the chance to be recognised in one of the biggest events of the year. You can nominate for the awards now at www.susu.org/evas. Nominations will close on the 28 March at 5pm. The winner will then be presented their award at the ceremony on the 9 May – and you can be there too. Tickets will go on sale on the 24 March and will be available at the Box Office. « The BIG Give is back!